Are you searching for Microsoft Project Alternative? I know that’s why we are going to sharing the most powerful MS Project Alternative for you in this post. Microsoft Project is one of the finest software for project management. It can help people to develop plans, track progress, assign resources, manage budgets, and analyze workloads. Although it is ruling the market with a single hand, there are still many other Microsoft project free alternatives. All of them provides amazing features and function to fulfill your needs. So here we have the best Microsoft project alternatives for you. Here we have pick 10 Microsoft project for Windows & Mac, and each one has something different to offer to its users. 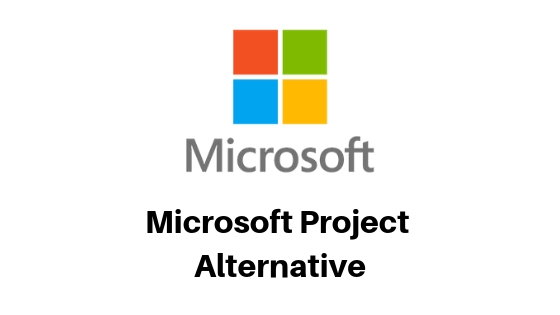 So take a look at the Microsoft project alternative and find the one that works best for you. ProofHub serves all the powerful features at one place, and this makes it number one in our list. This tool brings all your team members together. Not only team members but clients and projects as well to the one single place for the best outcome. You can create a task, assign them to an individual or multiple team member, and track the project progress. Even you can quickly and easily review and share the feedback with its amazing markup tools. The reason behind the best alternative of Microsoft project is it is quite versatile and offers features like online discussions, Gantt charts, Reports, Notes, and more. It helps you to stay on the top of the project and create an easy way to collab with your peers and colleagues. It is also available for Android and iOS users as a mobile application as well. Scoro is a full package of business management solution for all creative and professionals services that can easily stream the work and eliminate long daily tasks. This best Microsoft project alternative features work-scheduling, time-tracking, invoicing, and project management. Even one can add tasks and grant them to a different level and link them to clients. Due to the budgeting and invoicing capabilities, Scoro works best. It creates a complete structure for your work to manage and sync all the task in one calendar with a single interface. You can easily integrate it with Dropbox, MailChimp, Outlook, and more apps. ActiveCollab is a great alternative to Microsoft project as an effective project management software and tool that fosters teamwork and collaboration. It brings all the data at a single place that can easily accessible with few clicks by all your team members and you. It can make communication easy. It smartly brings time-tracking, work management, and invoicing with cloud technology. Like most browser apps, ActiveCollab also runs in the cloud. You can install it on your server which makes it a great alternative of Microsoft. More than 200,000 teams trust it. As per the name stated, it is designed for the collaboration and teamwork for the team members who work together. It is a world-class productivity and project management tool that can easily organize all the stuff properly. It can define project tasks, track the project progress and assign the task to the members. The significant features of Teamwork include time tracking, task lists, messages, and file uploads. Another plus point is it’s high-level of security with its compatibility with Web, Android, Windows, and iOS devices. Basecamp is a great option for Microsoft Project as small to large businesses and freelancers could easily use it. Basecamp aims to work towards a common goal and work with different people with different roles, objectives, and responsibilities to finish a project together. Basecamp features include recurring tasks, interactive Gantt charts, project templates, calendar, and scheduling capabilities. It is compatible with Android, Windows, iPad, iPhone, and Mac. Trello is Microsoft project alternatives for mac that allows the user to organize all the work more collaboratively, and get done easily and quickly. It keeps all the things on the track using the idea of the keyboard for projects and cards. The developer API section has the coding ability to develop apps and plugins. Some distinguishing features make it an excellent MS Project alternative like in-line editing, drag and drop functionality, archiving of card records, data filtering, and SSL encryption of data among others. If one finds the MS Project is hard to access and not affordable, then the Clarizen has all the functionalities that can make your work easy. It is not complicated and cumbersome like MS Project. From a single collaborative platform, you can manage all the project, teammates and clients. It is a robust alternative to Microsoft Projects that can manage a bunch of activities like planning, execution, and monitoring the projects. Other features include time tracking, risk management in a centralized place for more visibility across processes. If you are looking for the great option for MS Project, then LiquidPlanner is the right platform for you. It worked on ranged estimates and predictive scheduling. In this software, the plans are built on priorities, so that your team can focus on the prior work. The smart project schedules automatically predict reliable finish dates if things change. Few names which use the tool to plan and execute their work are Cisco, Thermo Fisher Scientific, and Daimler. Mavenlink is an end-to-end app that can manage the project, resource planning, time tracking, and more in one place. Powerful business intelligence (BI) engine and Advanced analytics qualify it as a perfect MS Project alternative. With role based-estimating and BI, it stays a step ahead of resource that forecast future planning. It can easily manage multiple tasks with ease by visibility into the performance and status of projects across your responsibility. One particular thing where MSProject lack is insights at every stage of business and to overcome it, the Project Insight comes into the picture. It starts with a few features and ability to create a centralized hub for your business and team and project of any size. The simple and attractive user interface makes it a choice of users. One can get different views on project statuses and progress. It also offers real-time reporting with secure data. So all these are Microsoft Project alternatives. There are many other options out there in the market, but only a few of them works. So we have tried to collect the best one that works best for you, your team and clients. Thank you!